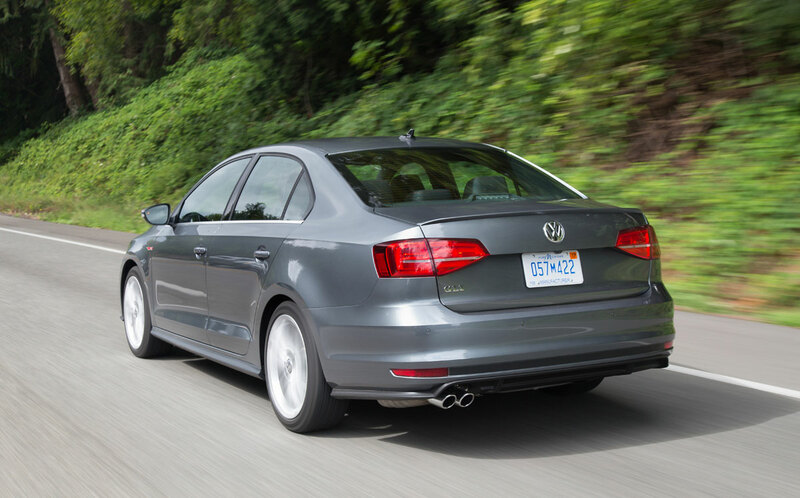 The Volkswagen Jetta GLI has always been the spiritual equivalent to a GTI with a trunk. 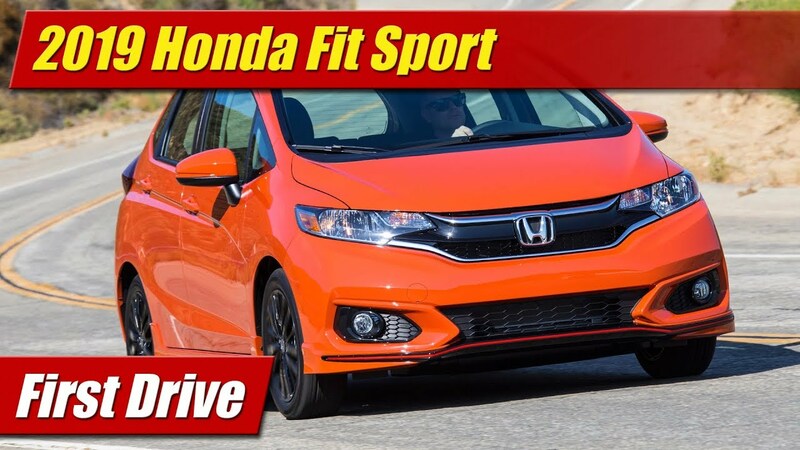 This has been the case since the 1980s and continues to this day, offering all the high-performance driving fun in a more grown-up and dignified package. 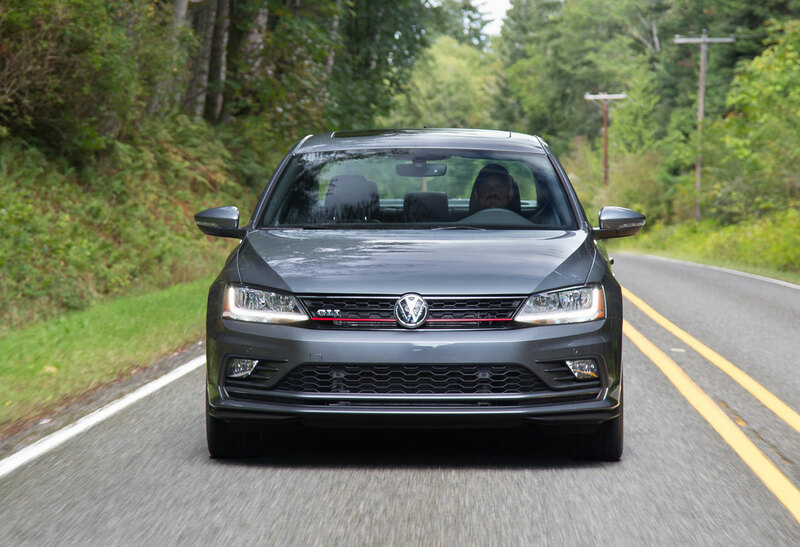 For 2017, the Jetta GLI comes to us this year in one upper middle to premium trim grade, well equipped from the outset – a move Volkswagen has made to simplify its trim grades. 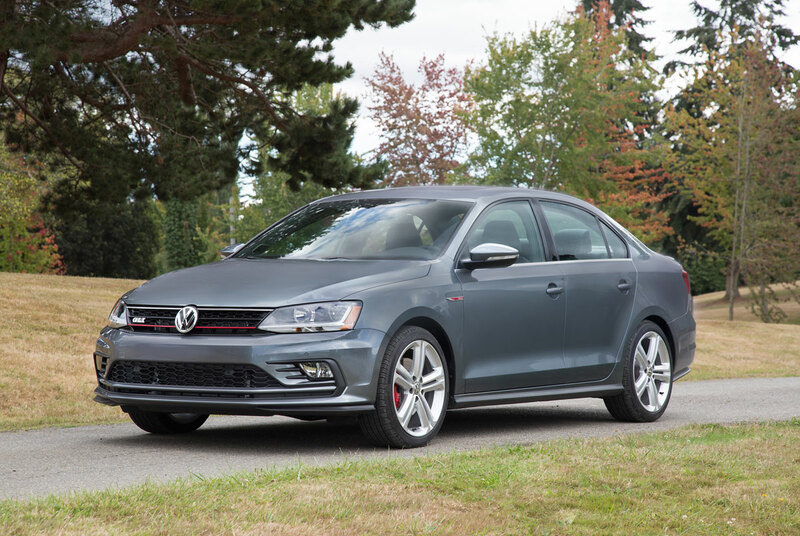 Worth pointing out is that its unique for North America architecture is one of the oldest in the VW showroom now, not having yet moved to the new Golf VII or MQB platform the rest of the lineup has been moving to. This means it still has some older bones and mechanicals from that of the latest Golf GTI, but still has some worthy skills. 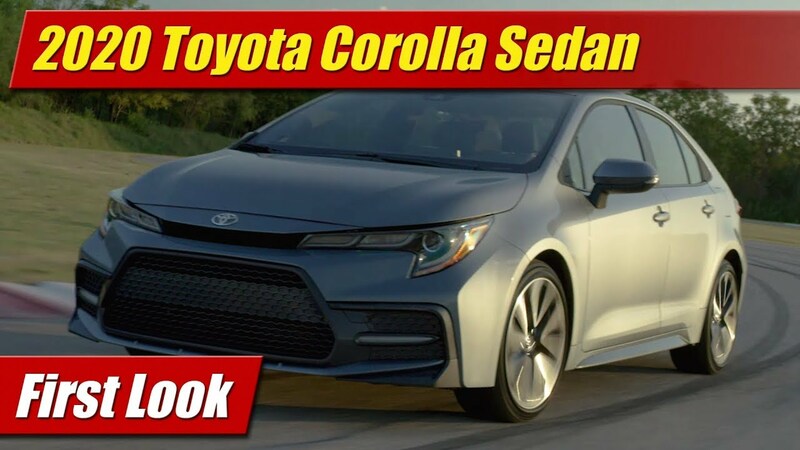 These include a 210 horsepower 2.0-liter turbocharged four-cylinder engine and in our tester a six-speed manual transmission. 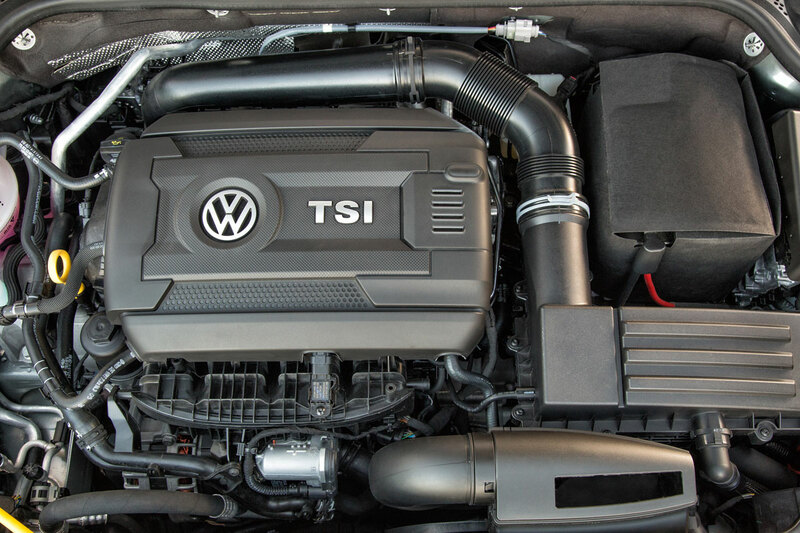 You can of course also order up a six-speed DSG automatic box. 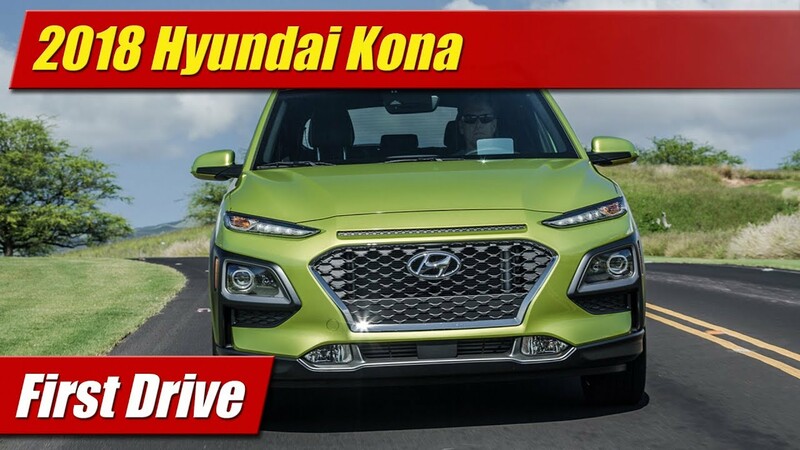 Performance is robust and pleasing both around town and out on the back roads with just enough power to be spirited and fun. The engine remains one of the most refined in class with a sewing machine-like thrum under foot as you row it through the gears. While able to serve up lots of fun it can also be as adult as its trunk might suggest it is when it comes to efficiency. 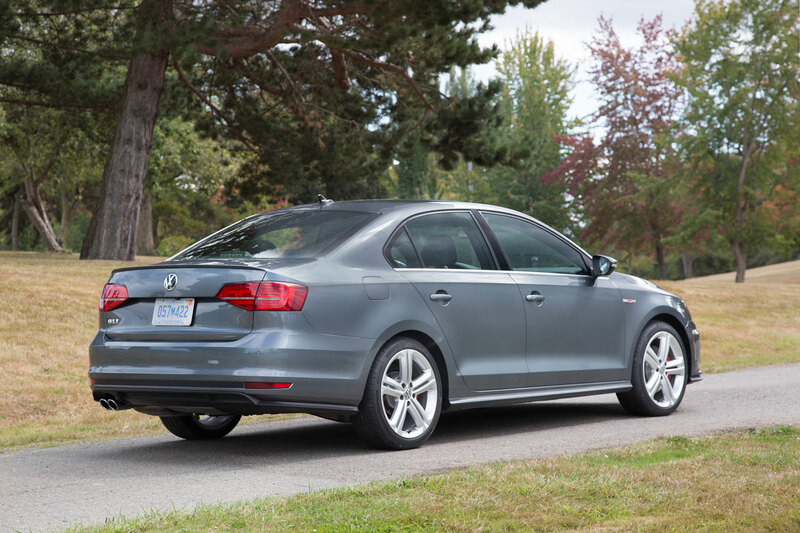 The EPA rates it at 23 mpg city, 33 mpg highway and 27 mpg combined. I achieved 25 mpg in my testing which is commendable for this class and horsepower rating. Handling is also a high point even with its older bones underneath. 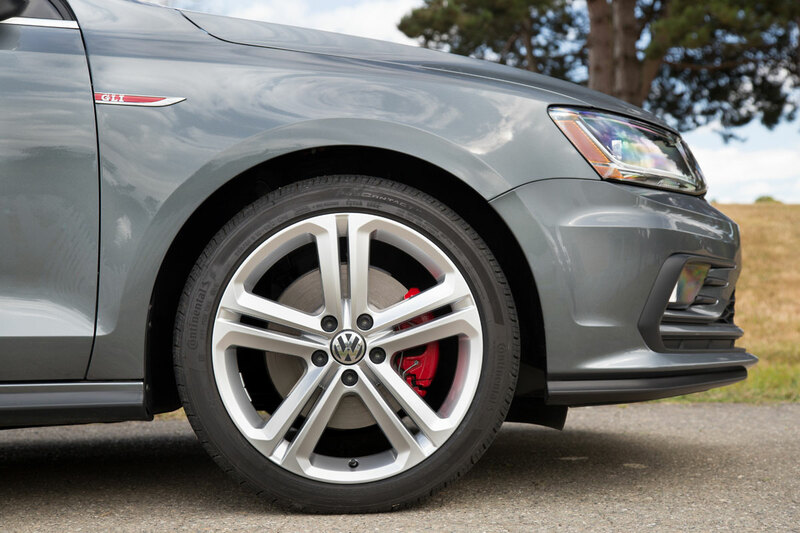 The rear suspension is the upgraded multi-link setup, the wheels 17-inch alloy with more aggressive rubber and the lowered suspension a bit more aggressive than the standard Jetta – all of which are tuned tight and solid like the German engineered sedan it is. 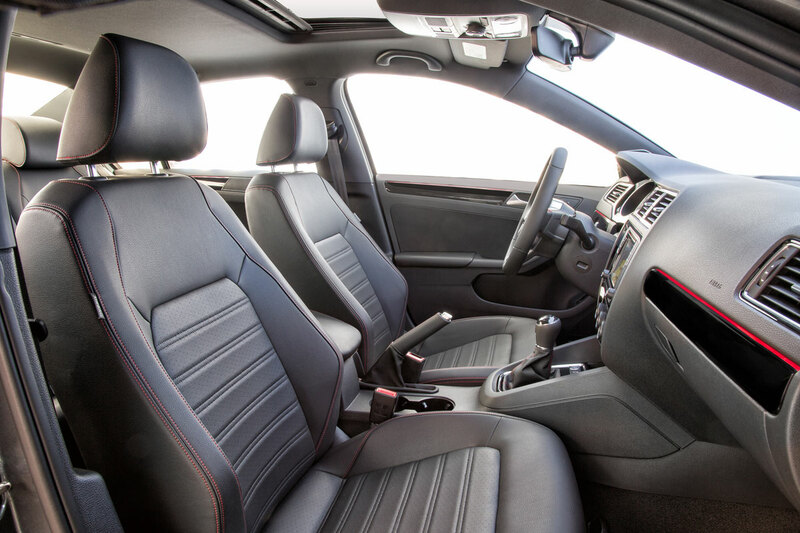 The interior of the current Jetta has been panned by many journalists for being cheap and austere, but in this trim grade has had some upgrades in appearance and trims. Major touch points are soft and stitched, red accents abound everywhere for better visuals. The steering wheel is of the flat bottom thick and grippy variety which is always a nice touch. A low spot remains its VTex “leatherette” seats. They are comfortable enough and offer plenty of support but they are sweaty and sticky when its humid or hot. The real genuine article leather is not available here at any price, unfortunate for a German sport sedan. At least you can crank up the Fender audio system and enjoy excellent audio quality. Using the latest generation touchscreen infotainment system is a joy with great graphics, intuitive menus and full functionality including Apple CarPlay and Android Auto. 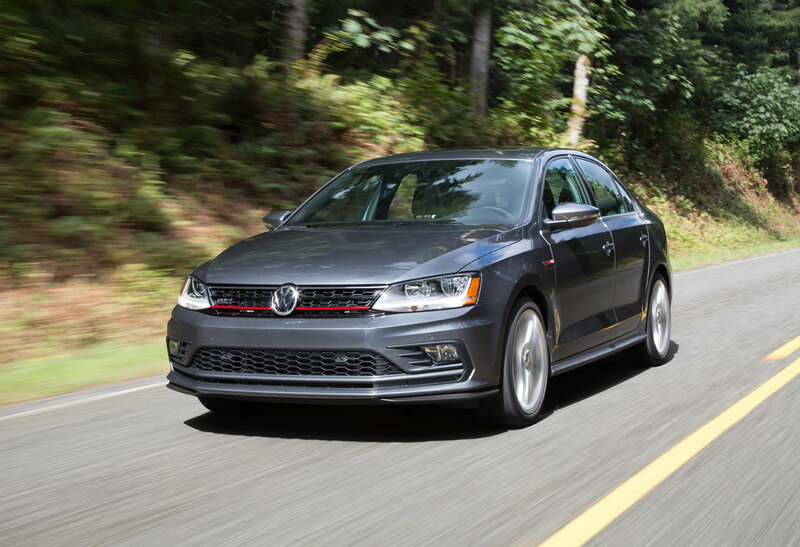 Priced at $28,715 and pretty much coming one way or the highway, the 2017 Volkswagen Jetta GLI still offers up something pretty unique in its class. There are very few competitors who offer this combination of performance and polish, let alone character and personality for the price regardless of brand.